Teresa Lee Cairns of Otsego passed away Wednesday, February 27, 2008 at her home. Teresa was born March 5, 1954 in Kalamazoo, the daughter of Carl and Donna (Mathis) Sabin. She worked for Parker Hannifin Corp. for 20 years. Teresa enjoyed playing pool, dogs & cats, spending time outdoors camping and canoeing and spending time with her family and friends. Teresa had many friends and enjoyed spending time with friends of her sons. On November 25, 1977 in Kalamazoo she married William Cairns who survives. Also surviving are her sons, Robert Charles Bowlby, William Jay Cairns and David Allen Cairns; her grandsons, Mason Jay Cairns and Trevor Motter; her brothers, Chuck (Sharon) Sabin, of Florida, Elmer (Nancy) Sabin of Munising and many nieces and nephews. Teresa was preceded in death by her parents, Carl & Donna Sabin. A memorial service will be held Saturday at 1:00 P.M. at Winkel Funeral Home in Otsego with Celebrant Bill Rose officiating. Memorial gifts can be made to the American Cancer Society or Borgess Hospice & VNA. Ronald E. Phillips of Allegan (formerly of Otsego) passed away Monday, February 25, 2008 in Kalamazoo. He was born August 22, 1946 in Plainwell the son of Lester and Betty (Burroughs) Phillips. Ron excelled in several sports and won many medals participating in the Special Olympics. His favorites included softball, basketball and bowling. For over 40 years, he was a carry-out and stocker at Harding’s and Village Market in Allegan where he made many friends. At his retirement party in 2008, there were over 100 friends and family there to celebrate with Ron. His father, Lester preceded him in death in 1989. Surviving are his mother, Betty Phillips of Otsego; 5 brothers, Bob (Linda) Phillips of Scottsdale, AZ, twin brother Jim (Judy) Phillips of Kalamazoo, Mike (Linda) Phillips of Allegan, Terry (Gloria) Phillips of Allegan, Tom (Karen) Phillips of Plainwell; many aunts, uncles, nieces, nephews and cousins. Ron also leaves many friends from work and the community who considered him as family. Friends may meet with his family from 2-4 and 6-8 P.M. Wednesday at the Winkel Funeral Home, Otsego, where services will be held Thursday at 11 AM, Pastor Jim Davis officiating. Interment will be at FortCusterNationalCemetery, Augusta. Memorial gifts can be made to the Sunset House of Allegan. 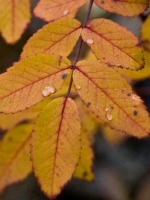 Bernice M. Schwander of AlamoTownship passed away Monday, February 25, 2008 in Kalamazoo. Bernice was born May 5, 1910 in St. Louis, Missouri to Charles and Mabel (Gallagher) Schearer. 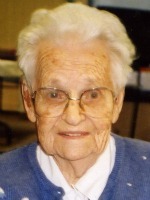 Bernice was a member of St. Margaret’s Catholic Church and League of Mary. Surviving are 2 daughters, Joyce Peterman of Kalamazoo and Mary (Frederick) Edison of Sarasota, FL; 5 grandchildren; 9 great grandchildren; great great grandchildren. A Memorial graveside service will be held Friday at 2 P.M. at the Mt. Ever-Rest Memorial Park chapel in Kalamazoo. Rev. Fr. Donald P. Klingler officiating. Memorial gifts can be made to the charity of your choice. 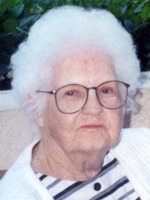 Mildred O. Miller of AlamoTownship passed away Thursday, February 22, 2008 in Alamo. Mildred was born August 1, 1912 in Allegan, the eldest of seven children born to John and Bertha (Ketchum) Black. She attended the Alamo Community Congregational Church for 80 years. As a child, she would walk by herself three miles to church and back. This would make her late for Sunday lunch at home. She met her future husband Lester Boyd Miller, whose house she walked by on the way to church. Mildred taught Sunday School for many years and was the church financial secretary for 30 years. She enjoyed her cat, growing raspberries and flowers, taking her tractor to the woods, fishing, making quilts, rugs and potholders, gathering and cracking walnuts. Mildred loved playing with her grandchildren, reading to them and listening to Lawrence Welk. She enjoyed the Christian messages of Billy Graham and George Beverly Shea. Surviving are a daughter, Violet (Ken) Mahieu of Schoolcraft, a son, Verlen “Moose” (Judy) Miller of Alamo; 11 grandchildren; 29 great grandchildren; 15 great great grandchildren. 3 sisters and 2 brothers, Florence Lappin, Lucille Hewitt, Elmer Black, Garland Black and Vera Kershaw; many nieces and nephews. She was preceded in death by her husband, Lester Boyd Miller in 1950, her son Boyd Miller in 2001 and her brother Martin Black. Friends may meet with her family from 2-4 and 6-8 PM Sunday at the Winkel Funeral Home, Otsego. Funeral services will be held 10 AM Monday at the Alamo Community Congregational Church, Rev. Richard Larson officiating. Interment will be at AlamoCenterCemetery. Memorial gifts can be made to the Alamo Community Congregational Church Building Fund. 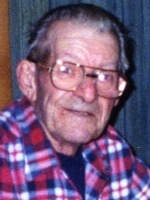 William E. McHale Sr. of Otsego, MI passed away Tuesday, February 19, 2008 at his home. Mr. McHale was born April 18, 1921 in Detroit, MI the son of Andrew and Mabel McHale. He was an Army Veteran of WW II and had been a welder at Hammond Machinery in Otsego. Bill enjoyed gardening, fishing, ballroom dancing and listening to music. On April 13, 1963 in Otsego, he married the former Helen Townsend who survives. Also surviving are 3 children, Elaine (Joe) Pennisi of Monterey, CA, Debra Helean of Twin Falls, ID and William A. McHale of Otsego; 10 grandchildren; many great-grandchildren. He was preceded in death by his brothers and sister, Joseph McHale, Eugene McHale, Jim McHale, Paul McHale and Alice McHale. Friends may meet with the family Sunday from 4- 8 P.M. at Winkel Funeral Home where services will be held Monday at 1 P.M., Rev. Brenda Clark officiating and Janet Hirschy co-officiating. Interment will follow at MountainHomeCemetery, Otsego. Those desiring may make memorial contributions to Southern Care Hospice. Guillermo ‘Willy’ Castaneda of Plainwell, Michigan, died Sunday, February 10, 2008 at his home. Willy was born March 10, 1961 in Plainwell to Santiago and Amelia (Lopez) Castaneda and was a lifelong resident of the area. For many years he was employed as a trainer with the Allegan Department of Mental Health. Surviving are his companion of 20 years, Terri Jackson of Plainwell; 2 daughters and a son, Amelia Castaneda and Ricky Castaneda, both of Plainwell and Nichole Strobel of Indianapolis; 2 grandchildren, Brandon and Kayona; his siblings, Juan (Deb) Castaneda of Arizona, Jamie Castaneda of Otsego, Santiago Castaneda, Jr. of Holland, David (Cindy) Castaneda of Otsego, Ricky (Sarah) Castaneda of Chicago, Fernando (Wendy) Castaneda of Plainwell and Albert (Louise) Castaneda of Cooper; many nieces and nephews. He was preceded in death by his parents and by a brother, Victor. Friends may meet the family at the Winkel Funeral Home, Otsego, on Thursday beginning at 10:00 AM until the time of the service at 11:00 AM with Robert Jimenez officiating. Burial will be at HillsideCemetery, Plainwell. Rita C. Jameson-Popp of Plainwell (formerly of Lawton and Otsego), passed away Sunday, February 10, 2008, in Plainwell. Rita was born in New York City the daughter of Frank and Lillian (Gutman) Kelly. She earned a Bachelor’s Degree in Social Science at St. John’sUniversity in New York and attended the College of William and Mary in Williamsburg, Virginia. Rita was the children’s librarian at South Huntington and at Patchogue, Long Island, NY. Later she was assistant librarian at Kalamazoo Central High School. In 1944, she married Edward J. Jameson who died in 1984. Together they owned Grant’s Department Store in Lawton for over 30 years. In 2000 she married Arthur Popp who died in 2006. Rita’s faith was very important to her and she was a long time member of St. Mary’s Church in Paw Paw and St. Margaret’s Church in Otsego. She was a good cook and loved to travel, visiting many European countries and Hawaii. In spite of her blindness (Retinitis Pigmentosa) she lived a very full and satisfying life. Rita was also preceded in death by 3 infant children and her sister, Frances Valentine. Surviving are a son and daughter-in-law, Edward Frank and Ruth Jameson of Boyne Falls, MI and Englewood, FL; 2 nieces, Barbara Eldridge of Kalmazoo, Harriette (John) Townsend of Lake Ann, MI; 6 step-children, Norman (Rose) Popp of Arizona, Anna Halsey of Otsego, Janet (Roy) James of Plainwell, Mary Runchey of Plainwell, John (Judy) Popp of Oklahoma, Terri (Robert) Bieszka of Otsego; many step-grandchildren and great grandchildren. Friends may meet with Rita’s family from 2-4 and 6-8 P.M. Tuesday at the Winkel Funeral Home, Otsego, where the Rosary will be recited at 7:00 P.M. Mass of Christian Burial will be at 10:30 A.M. Wednesday at St. Margaret’s Church, Otsego, Rev. Fr. Wieslaw Lipka, celebrant. Interment will be at St. Margaret’s Cemetery. Memorial gifts can be made to St. Margaret’s School Endowment Fund.